A Cairo court ordered the release of former Egyptian President Hosni Mubarak -- and then reversed itself on other charges and re-jailed him. A Cairo court on Monday ordered the government to release former President Hosni Mubarak, jailed for the death of protesters in the 2011 January 25 Revolution. But the judge ruled differently, deciding to detain Mubarak anyway. The former president had asked to be freed from prison while awaiting trial on murder charges in the case, an appeal he won, according to Egyptian state television. But the court simultaneously ordered Mubarak be held in connection with newer corruption charges – selling natural gas to Israel for prices below fair market value -- that were added to the older allegations, according to the report. Speaking for the families of some of the protesters who died during the demonstrations at Tahrir Square, Egyptian attorney Gamal Eid told reporters he believes the judge will continue to hold him. The issue of detention is one that is going back and forth in the Cairo courtroom due to a law that restricts the justice system from holding a suspect more than two years pending a trial. The court can extend the detention, however, for short periods of time. 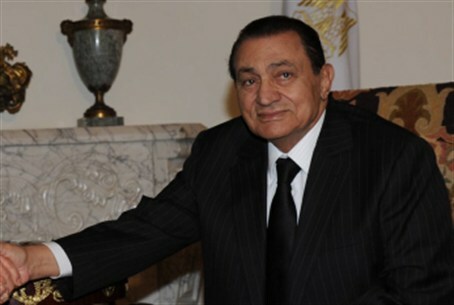 Mubarak’s two year period of incarceration pending trial recently ended, much of which was spent in a military hospital. The 84-year-old former president was transferred to the hospital after suffering a head injury and a bruised chest when he slipped in a prison hospital bathroom, Egyptian state media reported. But as his retrial was scheduled to begin on Sunday, Judge Mustafa Hassan Abdullah suddenly recused himself and walked out, declaring himself unfit to preside due to health reasons. The court of appeals has 60 days in which to appoint a replacement. Meanwhile, the former president’s remand was extended for another 15-day period. According to the semi-official state Ahram News Agency, Mubarak’s lawyers have again petitioned an appeals court to release him.